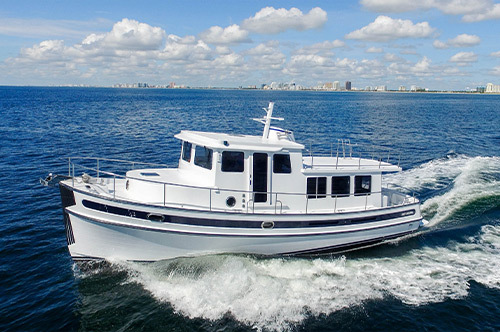 Hatteras began operations at High Point, NC, in 1959 with the Hargrave-designed Hatteras 41 Convertible, the first all-fiberglass sportfishing boat her size in the industry. In 1961 Hatteras premiered the 41 Double Cabin, the first fiberglass motor yacht. 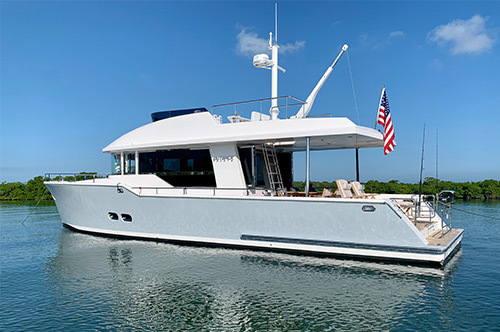 production fiberglass motor yacht then available, the Hatteras 50 MY. The 1970s and 1980s saw Hatteras evolve into the undisputed leader of production convertibles and motor yachts in the industry. In 1986 Genmar purchases Hatteras from parent company AMF, Inc. 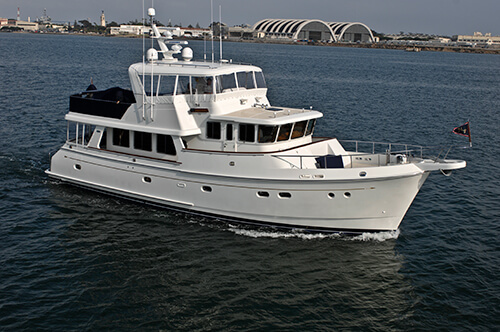 In 1992 the Hatteras 82 Convertible became the largest production sportfisherman ever built. In 2001 industry-giant Brunswick purchased Hatteras Yachts from the Genmar Corporation. With production at a record low, parent-company Brunswick announced early in 2013 its decision to seek a buyer for Hatteras Yachts. 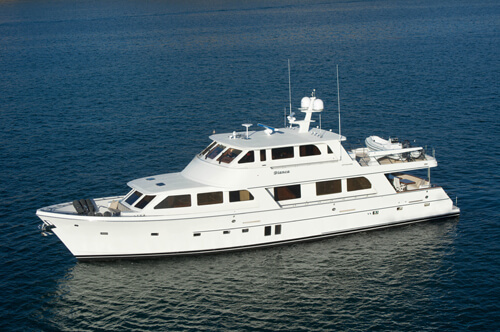 A Hatteras owner’s group can be found at www.hatterasowners.com.